Too much to do, too little time. Things get away from us. We forget errands, or even more important things. As for doing the things we really care about, well, when? Ever? In five years or maybe ten? Actually I’m feeling much better about my own time management lately, as I have been starting to use a system called GTD. 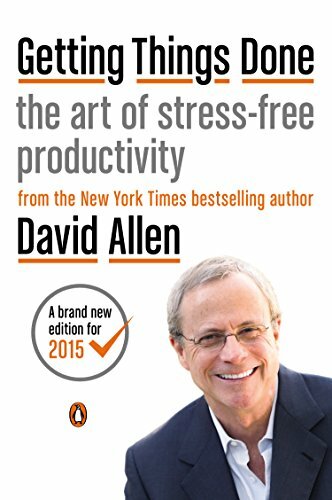 It’s based on a book by David Allen called Getting Things Done: The Art of Stress-Free Productivity. I bought the book when it came out in 2002 but didn’t really start applying till a few weeks ago.Yup, 9 years later. I’d even read the book back then, but judging from my notes scribbled in the margins, I didn’t really get how revolutionary a system it could be. That’s probably not surprising, since I had taught time management at continuing ed classes and privately, even once for a big corporation. I was used to the methods I taught. It took changing computers to get me into GTD. Recently I bought my first ever Mac, a MacBookPro. I gradually began moving things over from my ancient and quirky XP desktop, and right away I realized that I would be doing work on both computers for some time to come. I just don’t want to move completely to the Mac. But I needed to keep track of things on both computers. Luckily, I stumbled across a great free program called Evernote which took care of my main to-do lists. It exists in “the cloud” which is to say, it is constantly saving my notes to buy more dogfood or get back into blogging or whatever. It saves them online, where they are reasonably secure since my account with Evernote is password-protected. Dropbox, a free app for saving files to the cloud, also has been very handy. 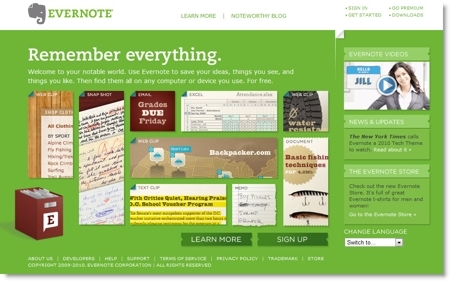 So as I got to know Evernote, I kept running into blog posts by people who were using it for something they called GTD. Once I realized it referred to a book I still had, I read the book and this time around, I really liked its ideas. It describes a five-step system. First, you make a massive list — HUGE — of everything you need to do or want to do. My list includes a big website project I am working on daily as well as mundane things like putting lemon oil on my wooden desk and bookcase, and getting new dog tags for our dogs since the old ones have our Mexican telephone number from over a year ago. Allen says that when he consults with busy executives it can take the two of them together a couple of full days to make the massive collection of things to do, so I should be fine with it taking me quite a while as I nibble away at the project. He says that they feel greatly relieved when they have done just that step, and I am feeling that already. So that is how far I am into the system. And on my list in Evernote I have a note to blog again about how things are going with GTD… sometime! The book is well worth your time! Thanks, Dan. Readers, that is Dan’s website he is referring to. I don’t now remember why I chose Vitalist over the other sites but whatever you do to get better organized is great!